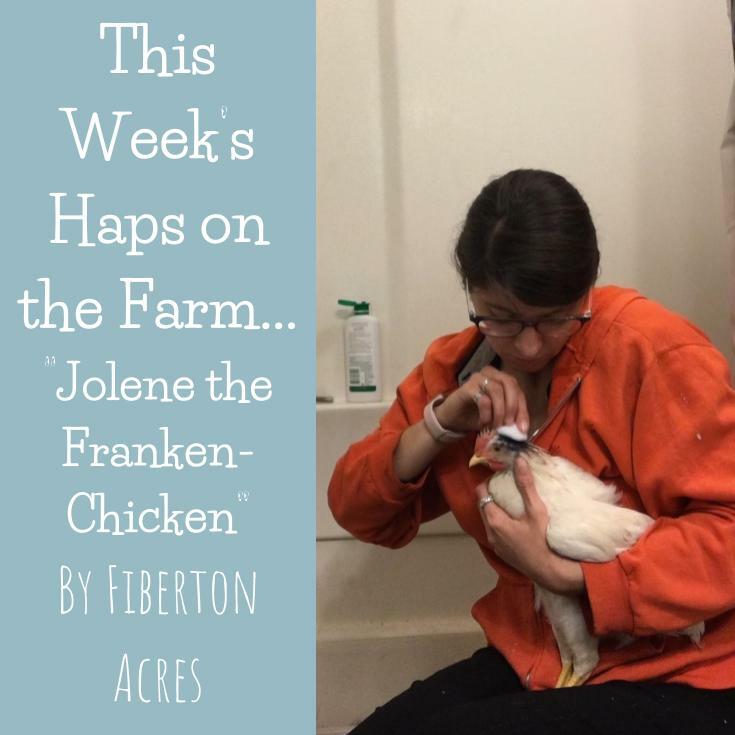 Fiberton Acres Blog: Jolene, our FrankenChicken. Heads up, its not a very pretty sight below. Not sure if she got her head stuck in something or what quite happened, but needless to say, she had to come inside for some medical attention. Sorry, it is gross. But boy oh boy, that has got to smart! 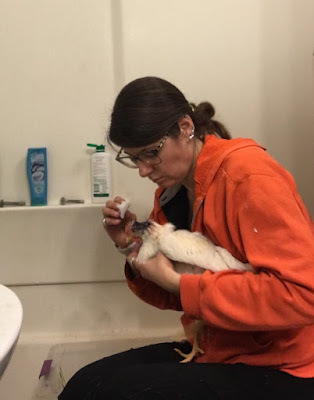 She was in surprisingly high spirits and, after cleaning the wound a bit and spraying on some good ol' Blu Kote (which anyone should keep on hand. It is indispensable! ), she ate and drank and seemed to enjoy getting to hang out in the bathroom. Post Blu Kote and cozy home for the night. 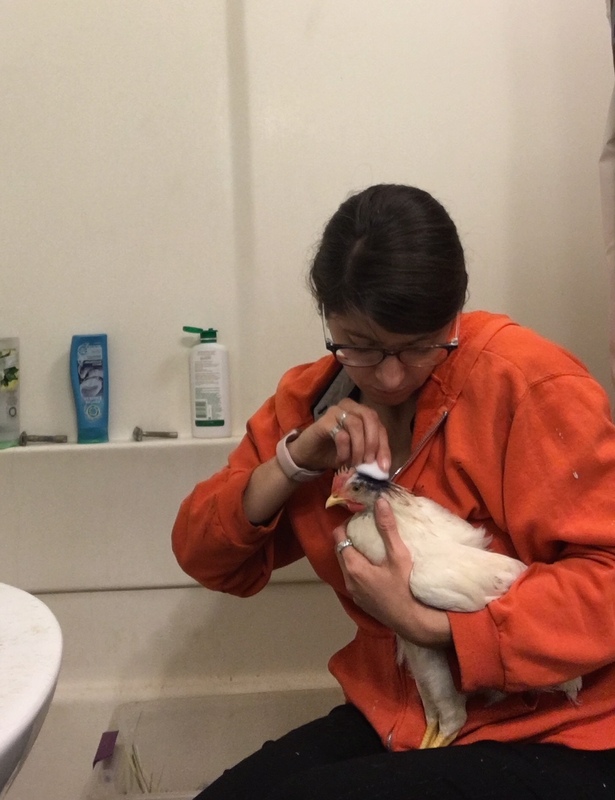 Saturday she continued to relax in the makeshift home in the bathroom, eating and drinking like it was no big deal. After work I came home and cleaned the wound again. She was a good little patient and after a little more Blu Kote she settled in for the night. We doubt that she will grow feathers there again, but if we can keep it clean and free from infection, she can join the others soon. In the meantime, she has taken up residence in the area where the rabbits are housed, happily cleaning up food they have dropped and doing quite well. PS - Ric and I are arguing over this... should she get a hat or a wig? Thoughts? Look, I think we need to get real.